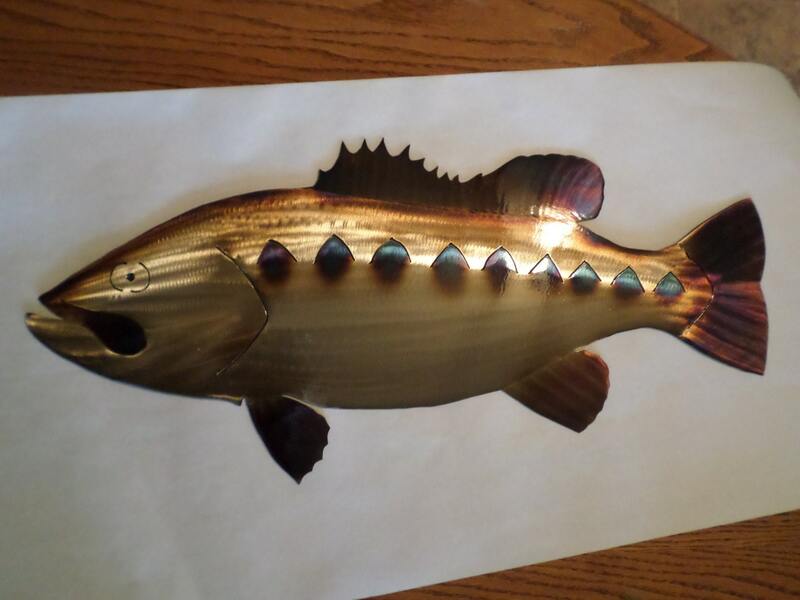 This is a one of a kind Hand-Made Torch/Heat colored Large Mouth Bass.They are 22" long and 10" wide. There crafted out of 14 gauge American Steel. 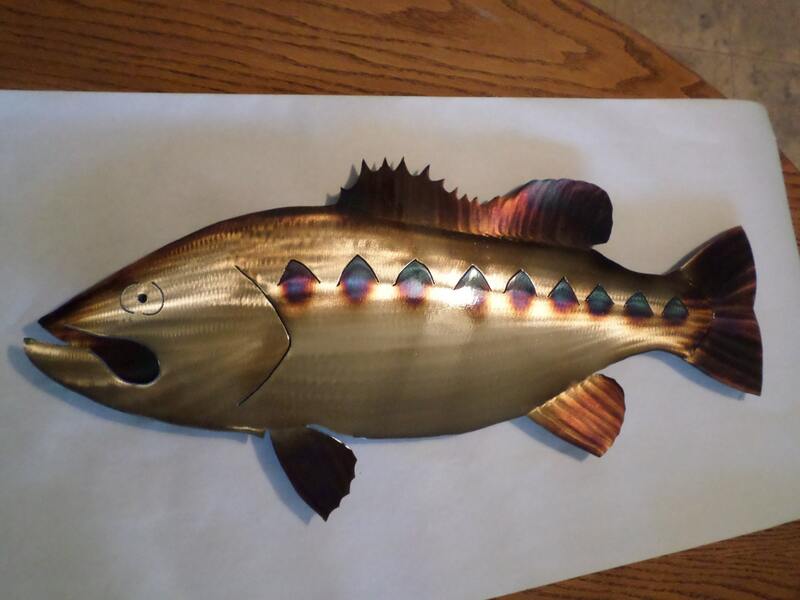 (Not flimsy metal) This piece is designed and cutout by me.Then we grind them down and polish them. 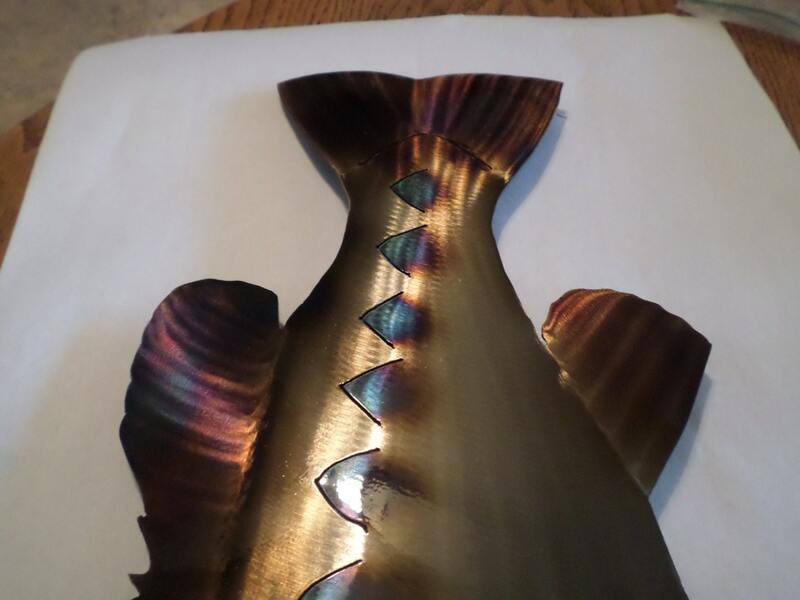 Then they go to my wife where she works her magic with the torch.That give them the many different colors and depth and that three dimensional look and truly one of a kind.Then there treated up to keep the color in and the rust out. 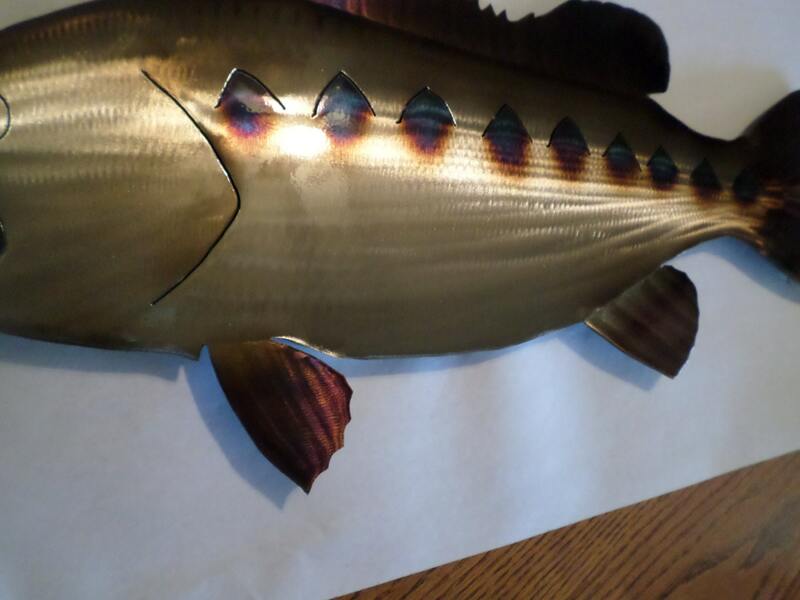 We also weld hangers on the back for easy mounting.The fish are made to set out about a 1/2" -7/8" from the wall. It casts a really nice shadow and really makes them look amazing. Please understand my metal work is 100% Hand-made and Free hand cut. Which results in slight differences in shape and color. We feel this makes each one a true original. If you would like something custom made for just you. 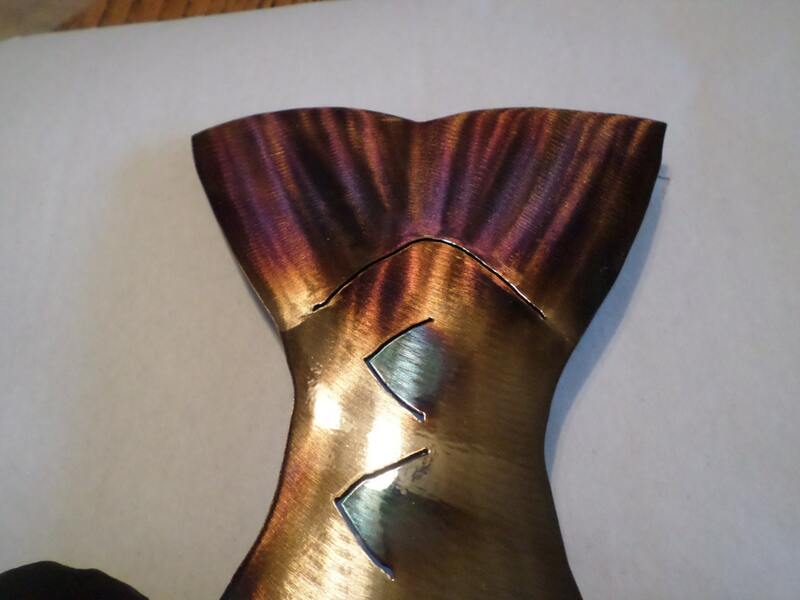 Or a item in a different size,color or finish let us know .We are more than happy to help. Thanks for looking and have a good day!!!! We ship all orders USPS Priority Mail within the U.S. Unless otherwise specified.